You must make reservations at least 5 minutes in advance of the time at Taverna. 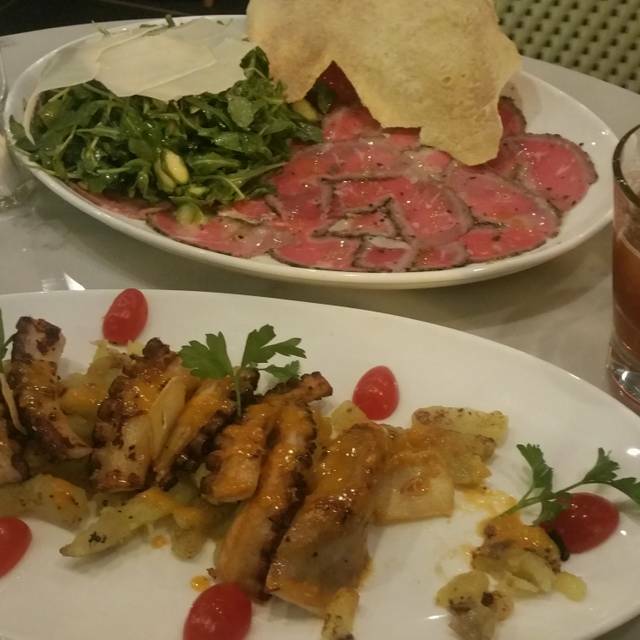 Taverna offers homemade pastas, risotto, pizza, fresh seafood and family specialties in a relaxed setting. 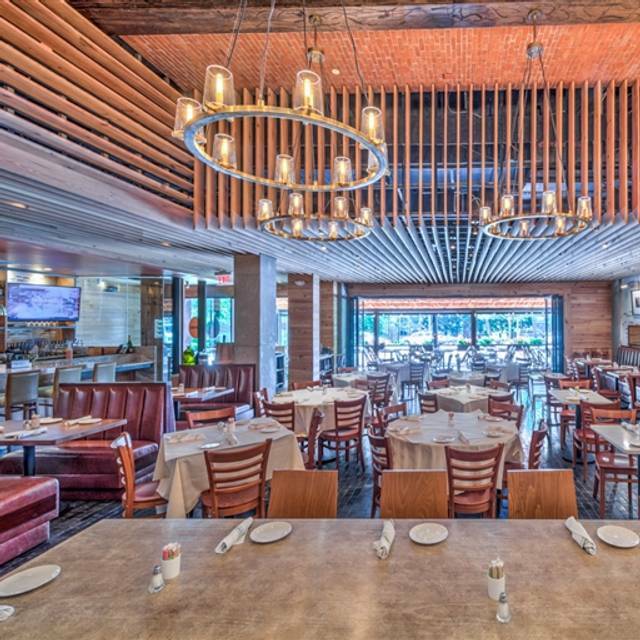 The restaurant features a full bar with an extensive wine and cocktail list, open kitchen and one of the best patios in Buckhead. Had a wonderful meal and service was excellent. We both had pasta and enjoyed every bite. This was our first time at Taverna and we will definitely be back. Service was a little spotty. only 2 servers and 4-5 tables in the patio. other than that, it was a good experience. Pizza was fair at best. Pasta was good but expensive. Very Buckhead experience---price by location not quality. Had an intro offer which made it less painful, but a pizza,pasta and 2 glass of wine meal (with a shared house salad) is steep at $70. Maybe acceptable if it was really great, but it was just okay. Maybe I spend too much time in NY-NJ where really good basic Italian is easy to find. Always enjoy our experience at Taverna. Great food in a fun atmosphere. Great vibe both inside and outside dining. Excellent service from staff, stellar drinks, and outstanding food. With all the Italian in Atlanta all over the city, this is in my top 5 and I keep coming back. The squid ink spaghetti with crab meat is to die for. And the restaurant doesn't overdo it with portions. Everything is just the right portion size. Pizzas, apps, and salads are also all great. I brought my 7 year old son for dinner. We were in Atlanta for a short getaway, and he loves Italian food. Our server was polite, but she never refilled our drinks, and I noticed a few tables that were seated after us getting service before we did. And the food, for the price, was just okay. Once again amazing pasta and a great dining experience for our group from the office celebrating a birthday. Bad service. Bad food. Good luck. Not the first time either. The food and experience was great! Our waiter Paige was awesome and full of personality! Freezing inside the restaurant. Tables are too close together. Service was good and food was ok. Overall overpriced but still a fun place. Better for drinks/apps. Great restaurant! Love the outside seating. Food was very mediocre. Featured Focaccia was a bland piece of dry bread with some cold Parma ham thrown on top. No olive oil anywhere to be found. Risotto was not property prepared (lumpy) and very over salted. Second tier ingredients -- not top draw items. It took our waiter and bartender over 15 minutes to tell us that the wine we ordered (off the menu) was not in stock. Then it took almost as long to bring our second choice wine and we were half way through with our entrees by then. Waiter spent more time at the end of the bar than in their service area -- had to wait to have empty water glasses refilled. And, finally, to top it all off, they could not take our credit card because their system was down. Don't waste your time or money. Amazing food and great service! The tiramisu was too die for, so light and delicious!! The tomato bisque was by far the best I have ever had and would go back simply for that. The cappelletti in bolognese was on par with the tomato bisque in being one of the best meals I've had in a long time. Nelson is a great host and manager! 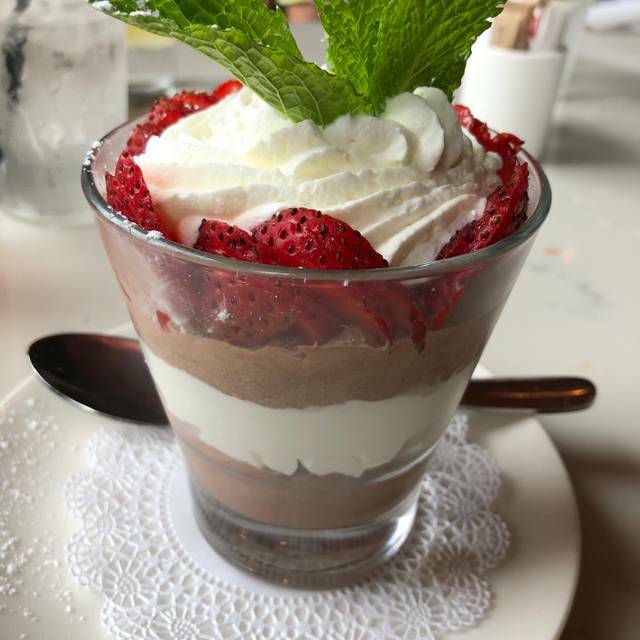 Taverna never disappoints! Ambiance is very nice. Too loud and hard to hear conversations. One of the hostesses was very rude and wait staff is slow to get food to table. Great place for business lunch. The highlight of our visit were the $2 mimosas. The food was underwhelming and came out lukewarm. I'd probably only be back for the mimosas. I'd completely pass on the food. On a busy Saturday night, we waited for a table 15 minutes past our reservation time and ended up with the worst table in the house. They accommodated our request to move and we waited another 15 minutes. We had poor and slow service at the table, asked another server to take our order in which one item was wrong. While food was OK, they brought the check before offering us dessert. First time there, no expectations. Great surprise. Terrific food and service. Packed and very loud. Can't wait to try again. Disappointed somewhat this time. We had a reservation and they wanted to seat us in the bar area, which neither my husband nor I wanted. Had to wait an additional 10 min. foer another table. Waitress was a bit slow but the restaurant was quite busy. Food was good as always. Just a bit disappointed at the beginning of the evening. The food was amazing. I’m Italian and picky about my pasta...this place was delicious and the manager was great! Highly recommend. We had a great dinner. 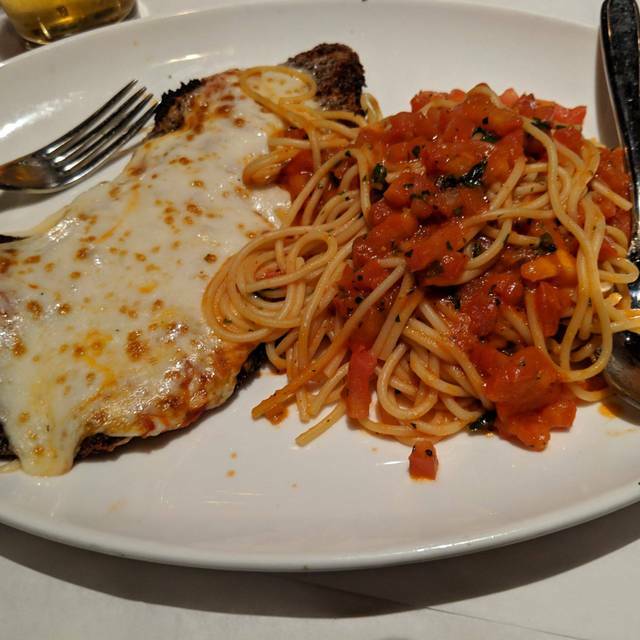 The food and ambiance is perfect for that Friday night Italian dinner. I will for very casual, quick bite. No ambience, Clorox smell while dining, don’t expect to get your expensive bottle of wine pour in your glass every time is empty. Menu is very limited. Not what we were expecting. Definitely one of my favorites in the Atlanta area. My boyfriend and I had a reservation on vday and the food was great, the ambience and vibe was even better. The only thing I'd say is that the space was a little tight in the table we were sitting at, and the drinks were a bit strong. Overall, our waitress was great. Love this place. Friendly staff, nice ambiance and good food. The food was outstanding and the wait staff was attentive and prompt. Very nice variety on the menu. The man at the front desk, Chuck, was rude and not welcoming. we had reservations but he told us that we could not sit until all parties were present and treated us like we were bothering him. While we waited at the bar he came over and told us how busy they were and tried to be nicer but he had already tainted our evening. The server was great and the food was good but our evening was tainted by Chuck.